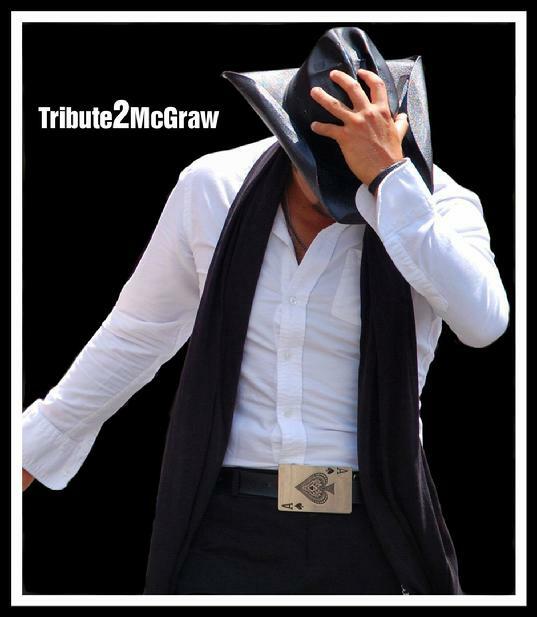 Tribute2McGraw is a powerful show that thrills and captivates audiences everywhere. It accurately recreates the music and mystique of country music ICON Tim McGraw. The timeless sound of Tim McGraw proves appealing to audiences of all ages, bringing back memories and touching the hearts of all. This talented group of musicians showcase Tim McGraws' mega-hits from the 90's such as 'Dont Take The Girl', 'I Like It I Love It' and 'Everywhere' as well as the new new release 'Southern Voice'. Show is normally 90 minutes but can be customized, depending on event. Production is generally the responsibility of the purchaser. Opening act for 42 major country artists. Numerous fair, festival, casino and club performances around the country.